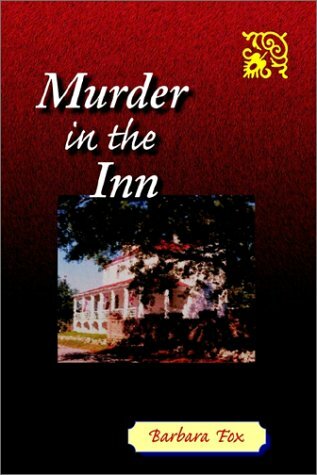 Review of "Murder in the Inn"
Murder in the Inn by Barbara Fox is a cozy set in a Georgetown/Washington, DC Inn. A good mystery if you are more interested in reading about odd and quirky characters than trying to solve a crime. Murder in the Inn is set in a small inn on a quiet street in Georgetown (Washington, DC). When Sandy Evans married comedian Joey Jason, she knew he would spend a lot of time on the road, but somehow she did not expect it would include their honeymoon? After an all too brief wedding night in the Atlantic City Hotel where she worked, Joey flies off to Las Vegas and Sandy heads for his newly inherited inn. As Sandy poked around the inn it becomes apparent that the "nice old Mrs. Ellington" did not just accidentally fall and break her neck. With the help of Noah, the Inn's housekeeper and cook, Janie, Sandy's newly acquired stepdaughter, and Countess Maria, a neighborhood psychic, Sandy undertakes a plan to discover who the killer was. Murder in the Inn is "a cozy" which means it can best be described as "mystery-lite". The violence and crime occurs off-camera and the killer is not truly evil. In fact you might actually like him/her. If truth be known, the characters are better than the story. Each character is quirky and interesting in his/her own way. The suspects include a gabby realtor with a desire to show her children she can make it as a star or a cowboy with an eye for Washington politics, and a self-centered college student from Chicago. Read it for the characters, but do not expect great traumatic mysteries.